Night #1: A beautiful spring night + efforts to eat healthier = Grilled Salmon and Veggies. Salmon brushed with olive oil and sprinkled with Italian herbs has always been a hit with our kids. Admittedly, our 5yo was a little cranky that night and gave us some trouble about eating it. We served it alongside grilled asparagus, eggplant and zucchini which our 6yo was a little resistant to. But promises of dessert helped smooth it all over and it was a nice dinner when all was said and done. Night #2: Dinner out on the town with my parents who were visiting. 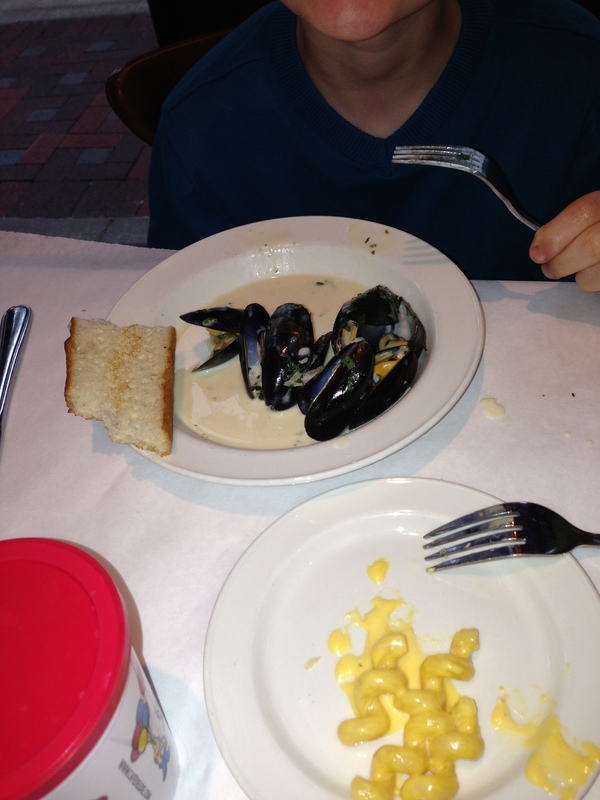 Our boys saw mussels on the menu and decided that’s what they wanted. So they split an order of the Classic Belgium Mussels — prepared in white wine and herbed broth. Night #3: Tonight’s dish brought us back on land and was a big hit with everyone in our house. 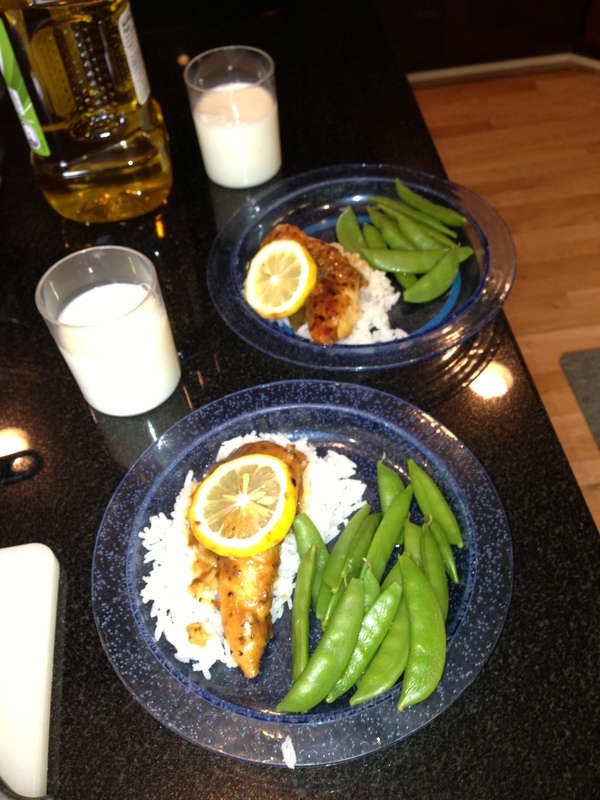 Baked Lemon Chicken ((http://www.tasteofhome.com/recipes/baked-lemon-chicken)) served with jasmine rice and steamed snow peas. YUMMY!! This will be going into the regular rotation — low-cal, easy, and enjoyed by everyone! Winner, winner, chicken dinner!!! So — for those of you keeping score — the past three nights brought three successes. So far… I’m liking this experiment. 🙂 Hope you are, too!